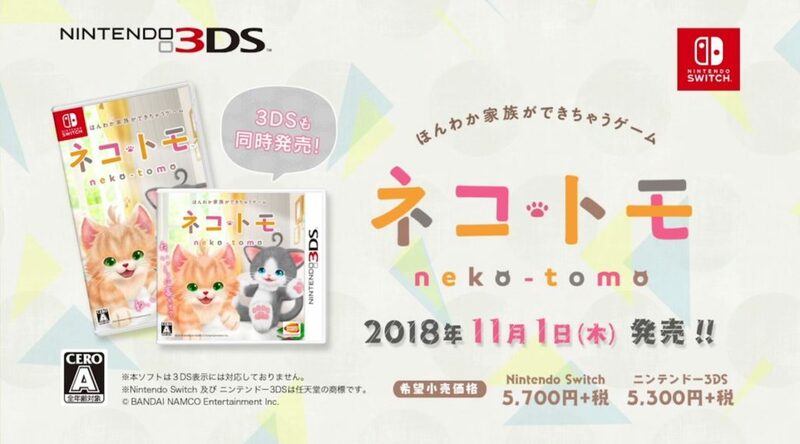 Bandai Namco Entertainment has announced the release date for Neko Tomo in Japan. The game is set to launch at retail and Nintendo eShop on November 1, 2018 for 5,700 yen (Switch) and 5,300 yen (3DS). Prices exclusive of sales tax.